Fine Gael TD for Kildare South and Chairman of the Fine Gael Parliamentary Party, Martin Heydon has advised that the statutory Part 8 for the Slope Remediation Project at Coughlanstown, Ballymore Eustace public consultation process will commence on 5th February, 2019. 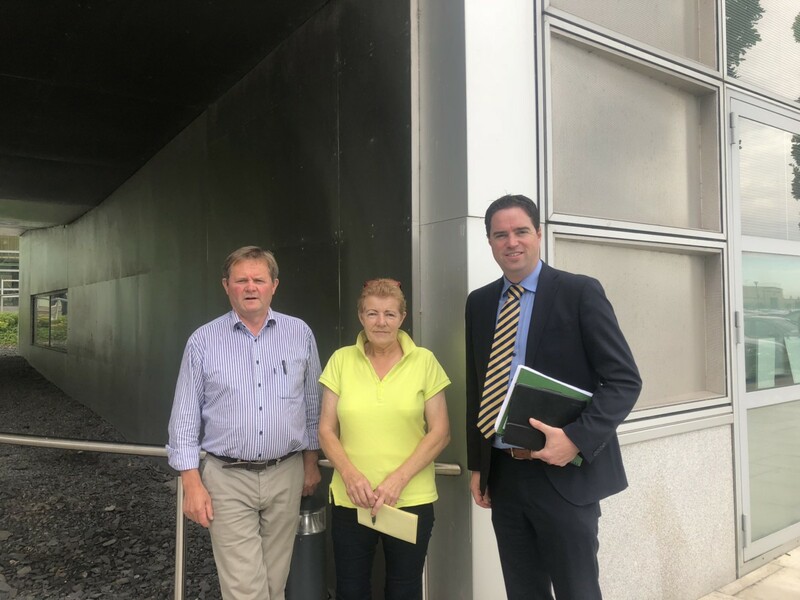 Deputy Heydon said “In 2016, I met a large number of residents from Coughlanstown and surrounding areas to view the damage that has caused the closure of the L6048 Coughlanstown road. A burst water main resulted in serious subsidence of the road foundation and adjacent river bank which forced the closure. “Since then I have met with Kildare County Council and a delegation of local residents every six months to review progress on the reopening of the road and to keep pressure on the Council. “While it has taken longer than expected I am delighted that we are finally at a Part 8 public consultation for remediation works to the road. “The project documents and drawings will be on display for a period of four weeks from the 5th February, 2019 with the closing date for submissions not later than 5 pm on Tuesday, 19th March, 2019. “The documents and drawings will be on display on Level 2 in Aras Chill Dara and in the Naas Community Library, Harbour View, Naas, Co. Kildare, W91 A997. “The documents and drawings will be available for viewing on www.kildare.ie/countycouncil/PublicConsultations-Part8Schemes/roadsandtransportation/index.html”.